Former West Indies umpire Clyde Cumberbatch has died. Cumberbatch, 81, passed away early yesterday morning at the Port of Spain General Hospital after suddenly falling ill. According to his daughter, Camille, Cumberbatch complained of feeling unwell while at his home in Petit Valley on Friday night and was taken to the hospital by his family. His condition deteriorated, however, and he died at 2.40am. Cumberbatch officiated in 12 Test matches involving the West Indies from 1981 to 1995. He also stood in 26 One-Day Internationals (1984-1997) and was well respected in the cricketing fraternity. The veteran umpire made his First Class debut in 1979 before making it to the elite ICC level in 1981. 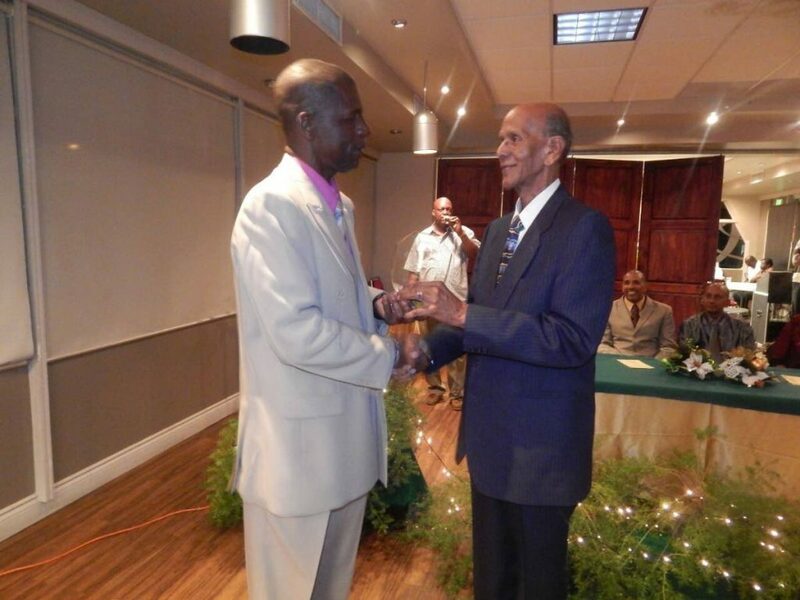 Only this year, Cumberbatch stepped down as Chairman of the West Indies Umpires Training and Examination Committee where he was bestowed Honorary Life Membership. Speaking to Newsday yesterday, Nero, who replaced Cumberbatch as Chairman, described his predecessor as not only his mentor but also a fatherly figure whom he learned a lot from. “I sent a message to my mother this morning and I told her I had just lost my umpiring father. Mr Clyde Cumberbatch has been all the superlatives that you can think about to me since I first met him around 17 or 18 years ago – friend, mentor, coach, supporter, well wisher,” Nero said. Nero, who has officiated in 22 ODIs and 12 T20s from 2011-2014, said Cumberbatch kept in constant communication with him and would call him to offer words of advice and encouragement when he was on duty abroad. FORMER UMPIRES: Clyde Cumberbatch, right, and Peter Nero, left, at an awards ceremony recently. Nero said apart from copying Cumberbatch’s patience, persistence and preparedness as an umpire, he also admired his sense of fashion when out in the middle. “He always talked about dressing. I don’t know if you ever saw me umpire but I also consider dressing very important and I got some of that from him. When I saw him dress as an umpire – lily white, clothes always immaculate (in condition) and I took a lot of that from him. We umpired some matches together and I enjoyed those moments,” he said. A relative said Cumberbatch always carried himself in a stately manner while still maintaining a sense of humour. Azim Bassarath, president of the Trinidad and Tobago Cricket Board (TTCB) and a past umpire, said Cumberbatch’s passing was a great loss. “I have known Clyde since I joined the umpiring fraternity in 1997. He has been leading the way in north Trinidad with respect to recruitment and training of umpires. He has been an integral part in the training of all our regional umpires and Mr Cumberbatch did play his part in the development of umpiring in Trinidad and Tobago. He was an outstanding regional umpire and when you speak to any umpires now, they will say they gained a lot of knowledge and experience from associating with Mr Cumberbatch. The TTCB extends to his family our deepest condolences and may his soul rest in peace,” Bassarath said. Former West Indies umpire Clyde Cumberbatch has died. 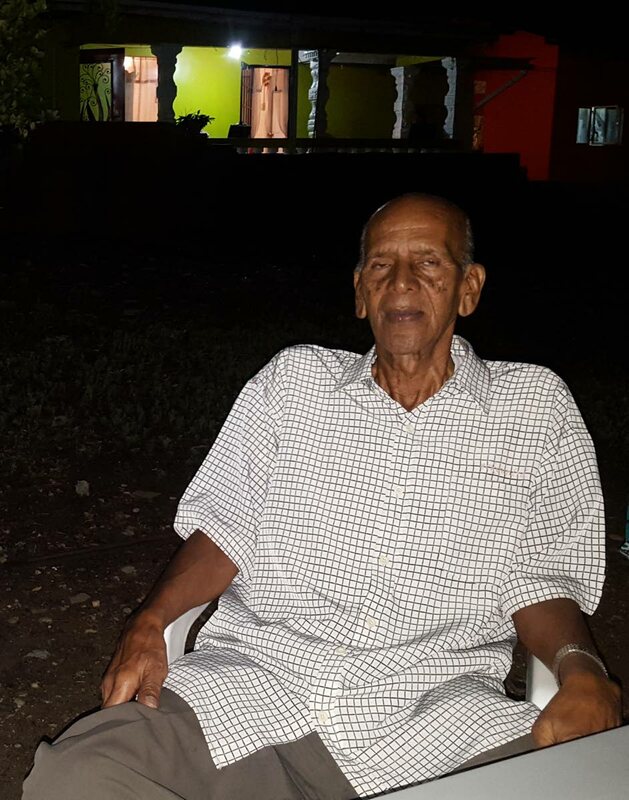 Cumberbatch, 81, passed away early this morning after falling and hitting his head at his home in Petit Valley last night. He was taken to the hospital but succumbed to his injuries. Reply to "Ex-umpire Clyde Cumberbatch has died"